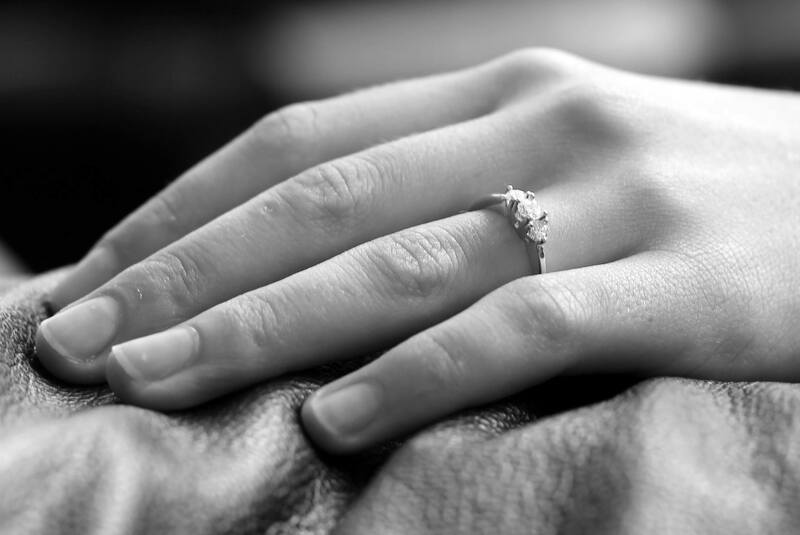 I am getting married!…as the title of this post obviously suggests. You may know me personally or not at all, but people blog about what they are discovering, learning about and interested in. Currently, I am quite interested in planning things. When my fiancee and I started telling family and friends our news, there were two common questions: 1) Did you set a date? and 2) Can I see the ring? I really love my ring. My fiancee did an amazing job. Its simplicity of the three stones and the simple white-gold band is the perfect style for me. The stones have a quality to them that allows them to sparkle even in darkness. I became curious as to reasons why the three stone setting has been so popular lately, other than its aesthetic and symmetrical qualities. There were three different ‘theories’ that I came across by word of mouth or looking up different things online. One idea is that the three stones symbolize the Holy Trinity: Father, Son and Holy Spirit. Another is that each stone represents the couple’s past, present and future. The idea that I liked the most is that the two smaller stones on either side are to represent you and your fiancee and the larger stone in the middle is to represent God, and the fact that they are on on the same ring symbolizes that you will always keep God in your relationship. This last idea seemed to fit the best into the relationship that my fiancee and I have. I’m so happy for you Cassie. You are a very special person and certainly deserve all the happiness and love that marriage has to offer.